Today, with modern technology, it is much easier to enjoy a wood stove at home. For example Real Fireplace Heater Illuminational is a great replacement decoration for the old fireplaces. 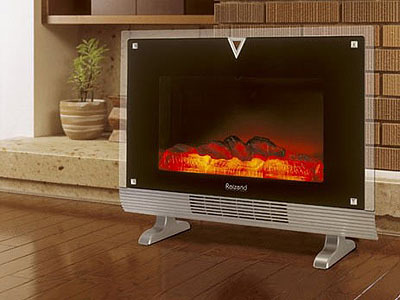 It is a hybrid of an LCD screen and stove, as the visual part of this device shows a fire “real“. This modern stove provides the aesthetics of a fireplace on a flat screen view, while the rest of the unit provides heat in the direction in which the “chimney” emanate the same. The beauty of the “chimney” is that you can move around the house, and not have to care for and keep the fire burning like the real thing. A great decor idea for those who can not install a fireplace in the home, but who like to watch the mesmerizing fire. This entry was posted in Accessories, Interior and tagged fireplace decor concept, fireplace design idea, LCD fake fireplace. Bookmark the permalink.